Condensation is everywhere you look, yet people never seem to take notice. That’s because most condensation forms in areas that are quickly fixed—places like your car windshield or bathroom mirror. However, condensation also forms in places susceptible to water damage. Just because you paid the big bucks for an excellent industrial roof, doesn’t mean that the roof is free from future problems. Even the best-designed roofs can suffer from condensation issues. To help your roof stay in tip-top shape, let’s break down how to prevent condensation. As pricey as commercial roofs are, you’d think they’d last forever. But, regardless of which roofing system you have, this isn’t the case. Over time, your roof weakens. It also could take on minor damage that leaves it vulnerable. And, of course, time itself plays an integral role as well. So, how do you know if you should repair or replace it? We’re talking a difference of tens of thousands of dollars in some cases, so it’s an important question to ask. The answer is even more important. We’re going over the signs, causes, and considerations involved with making the decision whether to repair or replace your roof. Take a look below. As a small business owner, saving money on your energy costs is one of the best ways to keep your bottom line as low as possible. Believe it or not, your roof is responsible for about 25 percent of your business’s energy loss. Over time, this contributes to an increase in your energy bills, heating costs, and the overall comfort of your building. So, if there was a way to make your commercial roof more eco-friendly, wouldn’t you want to? Luckily, new eco-friendly roofing materials can help to significantly improve your building’s energy efficiency while also protecting the structure from the elements. That means more savings for your business and less downtime due to leaks and water damage repairs. Read on to learn how industry professionals are working to make roofing options as eco-friendly as possible. Are you ready to sign off on that commercial roof repair you budgeted for? Don’t begin the project until you ask your roofing contractors these 10 questions. Unemployment is hovering around 4% and that near-record low number means business is booming! Consumers are spending more money and smart business owners are making investments in their organization’s long-term success. One of the best investments you can make in your business is ensuring that your commercial building(s) are looking and running their absolute best, and one way to achieve that is to ensure that your roof is in optimal condition. So, if you’re thinking of leveraging today’s up-market to make investments in your roof, here are some important questions to ask roofing contractors before hiring them on. A lot more than you might think! 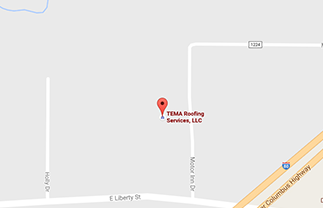 There are various commercial roofing materials available to serve the needs of various business types. While none of them are necessarily bad products, each has their own pros and cons and is more suited to certain situations. Let’s take a look at some of the popular commercial roofing materials and talk about their strengths and weaknesses. Are you considering purchasing a commercial building for your business? Do you already have the building but are concerned about whether or not it needs a new roof? Concern about a building’s roofing system is common, no matter what type of business you own or operate. Why? Well, the answer is simple…your roof literally protects every aspect of your business — the staff, the equipment, the product — EVERYTHING! And unfortunately, because of its importance, not all roofing companies are completely honest about whether or not you need a complete commercial re-roof. They may try to sell you on a new roof for silly reasons or misrepresent the facts. But, there are actually a few ways to tell if you need to replace the entire roof. Warning signs abound, and after considering the indicators listed below you should be able to decide if you need a new roof or just a few repairs.